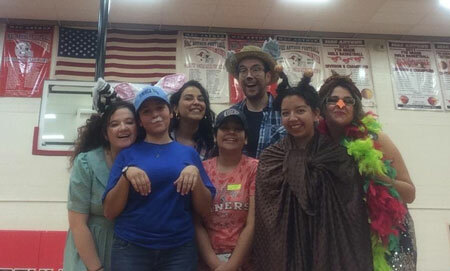 UTEP students in the Traveling Children’s Troupe pose after a performance at a local elementary school. Photo courtesy of Adriana Dominguez. Adriana Dominguez, Ph.D., clinical professor in UTEP’s Department of Theatre and Dance, received a $9,000 grant from the Texas Commission on the Arts and the Texas Women for the Arts. The money will be used to fund the Traveling Children’s Troupe, which provides theatre and dance performances to local El Paso elementary schools at no cost.